Toys R Us are always offering deals all through the year, such as the half-term half-price sale, Bloktober where you can save up to a 1/3 off toys and many more. But the biggest and most known sale of the year is none other than Black Friday, and November is creeping up on us very fast indeed – Are you ready? The Toys R Us Black Friday UK sale will deliver the best prices on all the greatest toys throughout the store and online, so it makes sense to bookmark this dedicated UK page as not to miss out on all the great deals. We will be showing all the toys on the Toys R Us Black Friday ad, as well as listing the doorbusters and more. No matter if you are looking for Frozen items such as Elsa, LEGO gifts for Christmas, this is the place to check back on regularly. Whilst you wait for Black Friday please do share any Toys R Us UK deals you come across, along with coupons and offers below. Toys R Us will list all their Black Friday offers on the official website. At last the Zoomer Chimp is now Half Price! It was £119.99 but now thanks to the Black Friday sale it is only £59.96. Just saved £100 on the Black Raven Maxi-Cosi Axiss Car Seat, the price is now only £129.98. The Toys R Us Black Friday deals are now live and kicking. You can save up to half price. No official update has been made on the Toys R Us website but I know they are returning this year thanks to someone that works in a UK store. No more said but watch this space, will update nearer the time. There is an up to jald price off sale on LEGO online, not too sure if its the same in store or not hough. Toys R Us have a super sale on at the moment, well they have a few but the I like is the half price sale summer sale. When I walked into my local store as soon as you walk in you will see many Half Price stickers, guess Black Friday is going to be good after all seeing as the deals have come two days early. The Toys R Us UK Black Friday page has now gone live and many deals are better than half prices. The deals will end on Tuesday 29th November. Whilst we wait for Black Friday deals to kick we can enjoy the Toys R Us flash sale that is on right now. 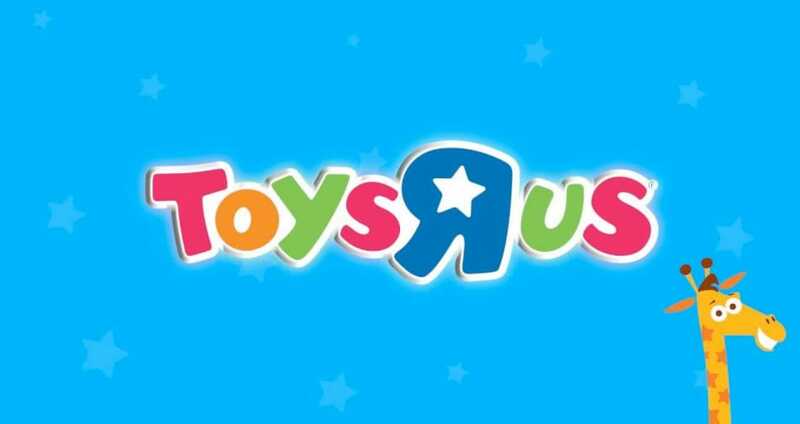 USA Toys R Us stores will be opening from 5PM on 24th November, Black Friday deals online will go live November 23rd at 9PM. They are also doing doorbuster deals on Thursday 5pm to midnight in store only. Is the UK going to adopt the same process? it is showing in USA that they are taking part in the Toys R Us Black Friday sale for 2016, so I am guessing here in the UK will be the same. The Toys R Us Flash Sale is now on, a lot of the products are better than half price. Take the Audi Push Buggy with Canopy in Pink for example, this is now priced at just £69.99. Toys R Us are doing its half price sale at the moment though. Not heard anything about Toys R Us doing Black Friday deals in the UK yet for 2016 (Nov 25th). Visit Toys R Us right now online and when you spend £40 or more you will get a free Disney Frozen Olaf A Lot toy. Great deal if you ask me. Spyz Covert Operations Recon Pack is now half price at only £24.99, wicked deal this is, been wating for something this cheap. I am loving the toys r us black friday deals because i got the Hot Wheels City Fast Blast Car Park for less that half price, it was £29.99 but i just paid £14.99. Toys R Us is offering a cool free £15 coupon when you spend £100 or more in-store or online. Please please tell me Toys R Us will have the Playmobil Santa’s Workshop Advent Calendar (5494) on its Black Friday list. Wicked, the half price sale has the Minions Super Pinball toy for only £12.49, beats the original price of £24.99. Black Friday Toys R Us sales are going to be super crazy with its low prices. Only one month to wait now. Half price on the Lite Brix Wars: War Hawk vs Blaze toy, was £10 now only a fiver.